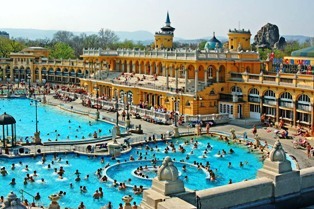 About the hotel: The hotel and spa with fantastic pools, and thermal baths filled with the natural, mineral-rich, healing waters of Budapest, is to be found on the tranquil Margaret Island, surrounded by ancient trees and historical ruins. The city center can be reached within 10 minutes. Excellent cuisine, delicious healthy menus, top-class conference facilities and gorgeous, relaxing wellness services characterize the luxury spa hotel. Rooms: 243 air-conditioned rooms and 24 executive rooms. 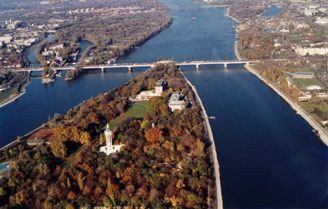 The rooms have a balcony overlooking either the Danube or Margaret Island. Rooms are equipped with TV with satellite channels, room safe, internet access, minibar, phone, bathrobe, hairdryer, coffee and tea making facilities, and supplied with 220 V electric current outlets. Rooms for disabled guests and smokers are available. 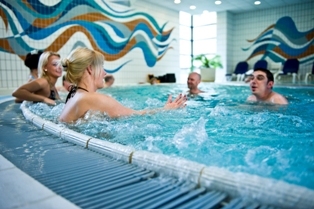 Wellness: Danubius Health Spa Resort Margitsziget boasts one of Europe’s top Health Spas, the therapies of which are based on the utilization of water from three of the island’s natural thermal springs. With views over the park, the water world has been re-designed with natural colors and light to enhance its island setting. About the hotel: The old and famous spa hotel has an outstanding location on the Danube riverbank, at the foot of Gellért Hill. 10 minutes walk from Great Market Hall and the downtown shopping area. 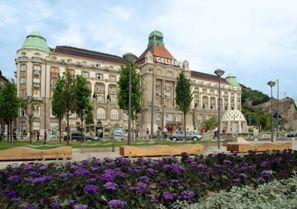 Its impressive Art-Nouveau building hosts the famous Gellért Spa as well as 221 rooms and 13 suites. 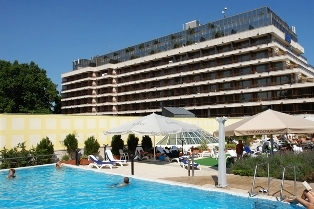 The hotel has several pools and many health and treatment facilities. 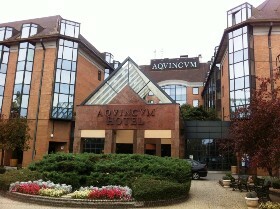 Excellent business facilities, superb food in the brasserie and a charming coffee shop serve also the guests’ comfort. Rooms: Small single with WC/shower, single larger with WC/bath tub, all single rooms have a view to a side street or the courtyard. The double rooms are equipped with the original furniture of the 60/70th and have a view to the Gellért hill or a side street. 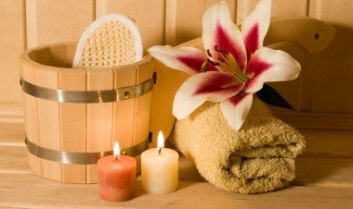 Wellness: The luxurious bath gives relaxation and recuperation to the hotel guests. The Recreation Centre is an excellent attraction. The gorgeous and famous thermal bath and spa together with a wellness complex offers a special ambience to the discerning guests who wish the utmost in comfort. Targeting the neck and shoulder areas to relieve muscle tension with gentle strokes and focusing on acupressure and trigger points. Blood circulation in brain will improve and muscle tension vanishes, various pains and aches can be minimized. It increases vigilance and helps the recovery after injuries and stress. We use carefully selected valuable volatile oil and aromatherapy products which contain plants extracts for the light massage of the body. 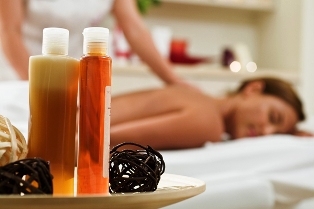 Due to the use of massage oils you are bound to feel the intensified relaxing, energizing, vitalizing effects, meanwhile the skin becomes smooth and velvety. We recommend this type of massage almost to everybody who wants to relax and feel fresh or wants to improve his/her overall well-being. Our foot is the mirror of our body. The energy pathways of our body end here, they are connected to our organs and glands. Pain or stress may close these pathways but foot massage can resolve these blockages and stimulate lymph and venous circulation. The energy can flow freely again, which improves the blood supply to the organs and at the same time stops stress and resolves tension and pain. 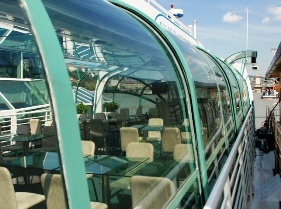 About the hotel: The former Ramada Plaza Budapest is located on the Buda side of the Danube bank, right at the Árpád Bridge, opposite to the beautiful Margaret Island. The 310 elegant and refurbished rooms offer a harmonious combination of traditional style and state-of-the-art technology and a number of services. Its magnificent wellness centre provides outstanding opportunities for relaxation and recreation, based on natural thermal water from the Margaret Island. Rooms: The 310 elegant and refurbished rooms (8 Suites, 34 Executive Rooms, 4 Business Woman Rooms) offer a harmonious combination of traditional style and state-of-the-art technology. All guest rooms are designed to meet the requirements of business and leisure travelers. 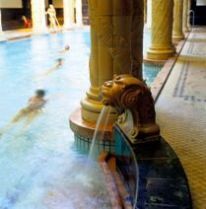 Wellness: Based on natural thermal water from the Margaret Island, the Spa of Ramada Plaza Budapest offers outstanding opportunities for well-being, relaxation and recreation. The fitness facilities help your body to get in shape, and hour wellness & spa treatments take care of the balance of your body and soul. About the hotel: Ramada Resort Budapest is a four-star superior wellness hotel offering unique services: it has 309 rooms, suites and apartments with internet connection; a conference centre with a capacity of almost 1000; a spa, wellness and fitness unit; an entertainment centre; indoor and outdoor car parks with a total capacity of more than 1000 and direct access to Aquaworld, one of the biggest indoor water theme parks in Europe. The hotel offers a free shuttle service to and from Heroes’ Square several times a day. Rooms: The hotel rooms are comfortable and radiate elegance; their interior design and furnishings comply with the Ramada Resort brand specification. The main hotel building has 261 rooms, including 28 junior suites, 8 suites and 2 presidential suites with additional luxury, and special rooms for disabled guests. Wellness: The Oriental Spa, Wellness and Fitness Centre of the hotel offers an extensive range of leisure and beauty services. 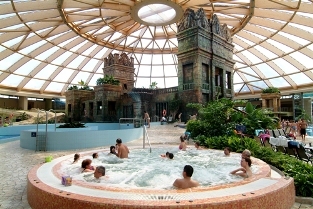 The circular relaxation bath delimited by glass walls, together with its outdoor section open throughout the year is an isle of peace, and the shrine-like dusky mandala bath area as well as the connecting but separate Sauna World with its nature section, Hamam bath, Finnish sauna, steam bath and pleasant rest area provide for undisturbed relaxation assisted by a most attentive staff. The Beauty Farm of the Wellness Centre accessible from the bath offers beauty programs and the services of the hairdressing saloon. Guests can choose from various massage treatments, including underwater massage in specially designed bathtubs, as becomes their needs and mood. 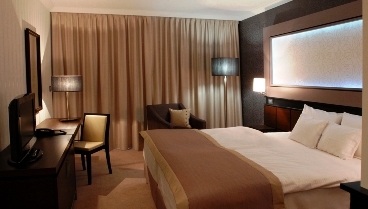 The Hotels reserve the right to modify the prices in case of any VAT or city tax increase. Please, note the prices above are not valid during holidays and festivals!